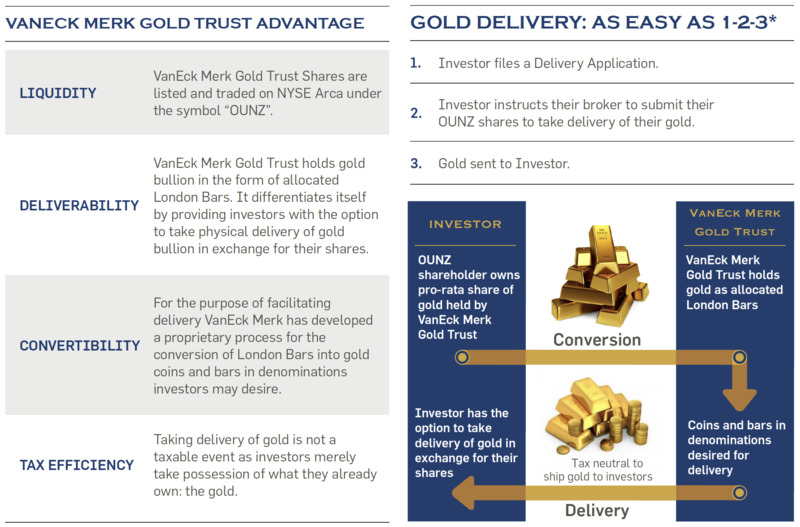 The VanEck Merk Gold Trust (the “Trust” or "OUNZ") provides investors with a convenient and cost-efficient way to buy and hold gold through an exchange traded product with the option to take physical delivery of gold. Please consult with your tax advisor regarding your individual tax situation. *A delivery applicant must submit a delivery application and payment for the processing and delivery fees to cover the cost of preparing and transporting the gold. 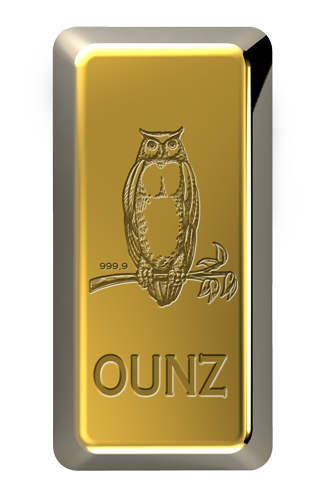 The delivery of physical gold to applicants may take considerable time and the delay in delivery could result in losses if the price of gold declines. A share submission is irrevocable.